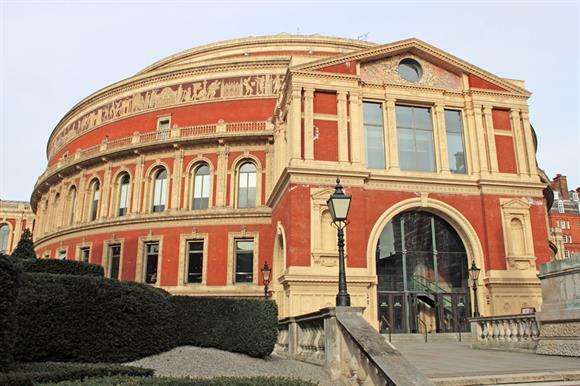 The Royal Albert Hall has acknowledged for the first time that the majority of its trustees have a conflict of interest because they have both a strong influence in the running of the charity and a financial interest in the seats they own, for which they can sell tickets for high prices. But the hall argues that the conflict is built into the constitution of the hall, which is laid out in acts of parliament and royal charters, and has always been properly dealt with by the trustees. There is therefore no need to comply with the Charity Commission’s demand to reform the constitution, it says. The hall’s latest position on its long-running dispute with the commission is outlined in documents circulating in advance of the hall’s annual meeting next week, when about 300 people who own seats and elect 19 of the 24-strong council from among their number are invited to conduct formal business. Third Sector understands the documents say that the existence of the conflict of interest is now common ground between it and the regulator, although they do not agree on the nature and extent of the conflict and whether constitutional changes should be made to make sure the hall is complying with charity law. Richard Lyttelton, a former president of the hall who owns four seats and is campaigning for reform, said the hall had never before accepted that there was a conflict of interest, inherent or otherwise. "It has always claimed that the rights of seat-holders derive from property ownership and not the charity, and so are unrelated," he said. "This is narrowly true, but there is no denying the fact that the way the hall is programmed and the access members have to their seats directly influences the value of these rights. "Given that council members and related parties own seats to a value of £25m, the conflict is now apparent to everyone, and council’s initial position has become indefensible. Clearly, commercial investors should not be governing a charity that can influence the value of their investment." When the hall was built in the 1860s, it was partly financed by selling a quarter of the 5,272 seats to investors for £100 each. The seats have since been inherited or traded and a 10-seat box was recently sold for £2.5m. Internet trading and the hall’s recent commercial success also mean that seat-holders can sell their tickets for popular events at many times the box-office price. The 19 seat-holders currently on the council, together with relatives, own a total of 166 seats, according to the hall’s draft annual report for 2017. Seat-holders often give tickets for their seats to charity. In the past the commission has told the hall it thinks there is a "real risk" that the council will prefer the interests of seat-holders to those of the charity and said it wanted to see a majority of non-seat-holders on the council. The latest documents in circulation say that the commission is now proposing that seat-holders – also known as members – could retain a majority on the council but withdraw from discussions involving conflict of interest. The case could end up being considered by the charity tribunal. In March, Jeremy Wright, the Attorney General, withdrew his consent for the case to be considered by the tribunal after a threat by the hall to seek a judicial review of his decision, but the commission intends to make a renewed application for the tribunal to hear the case. A spokeswoman for the Charity Commission said its position remained that it wanted the constitution of the charity to be reformed because its governance structure "and the inherent conflict it creates, which gives majority control of the hall’s ruling council to seat-holders with a significant personal interest, is not acceptable or in line with modern standards of governance". She said: "The commission intends to make a renewed application to the Attorney General for permission to refer to the tribunal questions relating the charity, and we are currently considering the charity’s comments on a draft of the application." The commission is understood to be considering the contents of the update sent to the charity’s members and might comment further on it in the coming weeks. The Albert Hall declined to comment on the contents of the documents.